Additional tryouts can still be scheduled on an individual basis. Please register below. 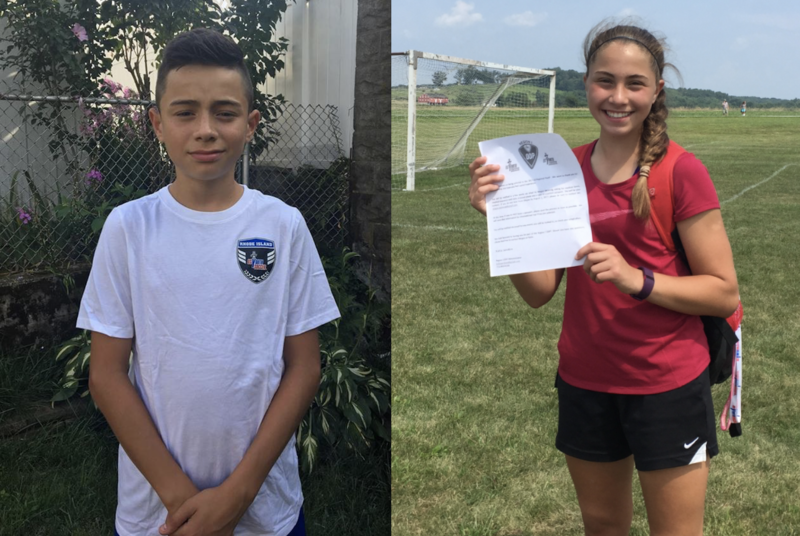 Marlon Monterroso (2003) and Lena Lukowicz (2003) have each been selected to represent the East Region on international tours this winter/spring. Marlon will travel to Scotland with the Boys 2003 roster in April and Lena will be off to Ireland with the Girls 2003 roster in March. Congratulations to both players! Throughout November and December Region I pools will be gathering in Hershey, PA for winter training. This year SRI will be represented by the following players: Marlon Monterroso (2003B), Lena Lukowicz (2003G), Emma Prestage (2004G), Corinne Ciummo (2005G), and Brianna Colangelo (2005G). Good luck to all players!